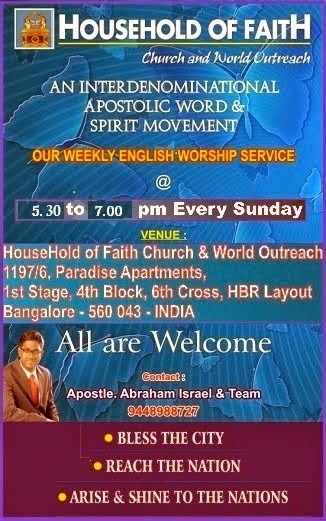 Apostolic Revelation: The Word Of God, The One And Only Inspired, Inerrant and Infallible Book In The Whole Wide World! 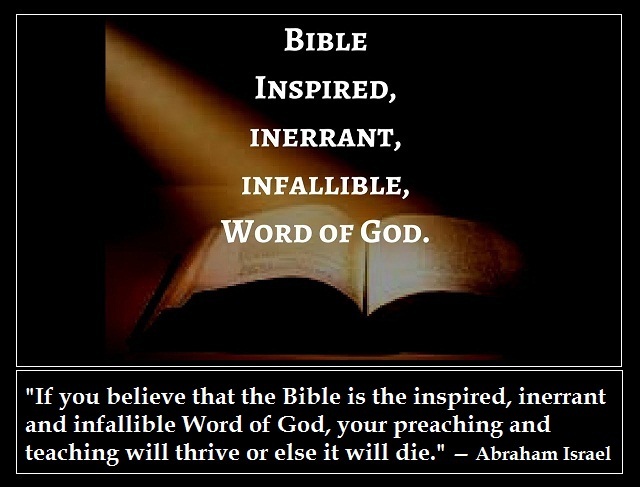 The Word Of God, The One And Only Inspired, Inerrant and Infallible Book In The Whole Wide World! "In the beginning was the Word, and the Word was with God, and the Word was God." (John 1:1). I heard a friend of mine say sarcastically to me regarding this verse when I insisted him about the infallibility of Scripture, he said it is not written, "In the beginning was the Bible, and the Bible was with God, and the Bible was God." He does seem to argue this matter against the inerrancy and infallibility of the Word of God. He then told me that it was written by humans and therefore we cannot argue for the inerrancy of the Word of God as it was inspired and not dictated by God. 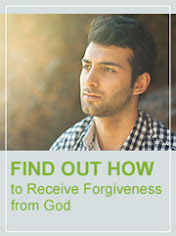 We must know the subtle deceit in the above approach, once someone loses his trust in the inerrancy of the Scripture, soon the very authenticity of the divine commandment will be become a principle for a self-improvement program that does not demand us but shows us just a little more goodness of God for us to choose if we like to add it to our lives as a extra bonus from God when we live on earth or can choose to ignore it completely. Word of God gives us only a command and not a option to choose or ignore. Here in the above Scripture the Greek word used for "the Word' in English is 'Logos' which has been used to describe the Divinity of Jesus which bring us back to consider all of His words spoken as a divine command and a direct spoken Word of God Himself. I believe that one of the Greatest of all miracles from God is to bring "the entirety of the Word of God" (Psa 119:160) or in other words "the whole counsel of God' (Acts 20:27) in one Book of the Bible as Old and New Testament through the canon of the Bible within a couple of hundred or more years after the life of Jesus and the last apostle John who wrote the last Book of the Bible and died at the end of the first century. My explanation to it is, every Word spoken forever through the mouth of God has been given in written form of a scroll or a book in the Old Testament and in the New Testament times. When Jesus Himself quoted the Word of God, what did He say, without doubt He said, "It is written..." to overcome the Devil. Where was it written? In the Scroll of the Old Testament times which Jesus heard daily in the synagogue and wrote within His heart which God the Holy Spirit used it for the Glory of God. What can we learn from this? When the very Logos Word who is God Himself in the flesh chooses to humble himself to such an extent that He chooses to learn the Word of God as commandments of God from the very scroll to fulfill what was already written in the scroll about Himself, can you not see how much more important it is for us to stand in the inerrancy and infallibility of the Word of God and educate ourselves fully in it to keep believing all of it for the Glory of God to be revealed through our lives! For us Christians, the books found in the Old and New Testament comprise the Canon of the Scriptures. The word Canon comes form the Greek "kanon' or Hebrew "qaneh" meaning a reed, rule, list or measuring stick. This word was employed by ancient writers to denote a rule or standard. Therefore, the Canon of the Scriptures is the authoritative list of books that are acknowledged as "divinely inspired" by the Church, and are set as the standard for Christian teaching, preaching and edification. So I cay say that the human process of collecting the books of the Bible even if it was flawed, God brought the prophets and the early Church to recognize the books He had inspired and therefore it is indeed infallible. That is why Jesus said, "heaven and earth may pass away, but my Words will no means pass away" because it is eternal (Matt 24:35). The infallibility of the Word of God can stand on the following pillars on earth without getting tainted by sin and human errors by, (i) Inspiration which is based of the fact that the Word of God has come from the mouth of God, (ii) Canonization which is based on how God overruled to make the people of God collect exactly the Books that are inspired by Him, (iii) Transmission which was done by the Scribes of God who were used by God to replicate without error through many many copies of the same book copied several times over and over to refer and correct themselves in the future what has been inspired and what is not, (iv) Translations were done by the servants of God who were used by God through His empowerment to reach out to those he wanted to make them understand the basic message and get saved. This is the answer I wrote back and challenged the friend saying, "God's word is truth (John 17:17; Psa 119:160). If we do not hear the Moses and Prophets who have written it in the scroll of the Book about Jesus (Psa 40:7; Heb 10:7), neither we will hear Jesus Himself even if he has risen from the dead (Luke 16:31). All scripture is given by inspiration and is not a private interpretation and therefore obedience to God's Word is absolutely essential to experience God in his goodness for eternity (2 Tim 3:16-17; Rom 16:26). God has breathed His Scripture through His chosen humans who were His messengers (2 Pet 1:20-21). I would want you never to embrace with fire of unbelief that comes through not believing the inerrancy of prophetic Scriptures, because it might get you burnt out to ashes of worthlessness in your spiritual life through unbelief while you are doing it (Prov 6:27-28). Always understand Scripture through your belief, not by your limited understanding of your unbelief. Your belief in inerrancy of the prophetic Scripture will lead you to obedience of faith. Either you gain by your belief in the inerrancy and infallibility of Scripture, or you gain nothing at all spiritually or eternally! There are no two place to stand, only one way to get saved and live for God the rest of our lives believing the Word of God as prophetic from God and infallible." Thus ". . . through whom [? Jesus Christ] we have received grace and apostleship for obedience to the faith among all nations for His name." (Rom 1:5). Because the Word of God is inerrant and infallible, God has revealed the mystery kept secret since the world began which is "the prophetic Scriptures [that] has been made known to all nations, according to the commandment of the everlasting God [i.e. through his Prophets and Apostles and The Son of God finally (Matt 23:34; Luke 11:49; Heb 1:1-2)], for obedience to the faith." (Rom 16:26). Thus the Word of God is so precious in the salvation, growth and reward of every believer so that nothing of eternal worth can be achieved without it. Scripture is definitely not God but it is of God that leads to God, it is very God ordained equipment given by God to all humans to understand and know the true God and be in eternal relationship with Him to live forever! The Spirit will work only through the Word of God, and not apart from it (Eph 6:17). The letter kills us when we try to take it in without the help of the Spirit, but gives life when we co-operate with Him to write it in our heart for the Holy Spirit to use and bring life abundantly in to our lives which is His will for our lives now on earth (2 Cor 3:6; Heb 10:16; John 10:10). The word is a collection of inspired Books written and canonized by humans through the help of God which we call as the Bible. The following verse of Jesus in which He said, "It is the Spirit who gives life; the flesh profits nothing. The words that I speak to you are spirit, and they are life" (John 6:63), he was speaking not about the Holy Spirit but about the humans spirit which can only receive the Rhema voice or word of God within them, the flesh cannot receive anything from God. So it should not be misinterpreted as life is not in the Scripture but rather in just the person of Jesus Christ the Word of God who has no errors. If Jesus Himself with humility was not ready to argue with Satan except say "...it is written", which released the mighty weapon of the Rhema which is a fired up for the moment Word of God which acted as a sword to destroy the enemies lies and deceit, then automatically it shows that the all humans who believe in the infallibility of Scripture can only uphold its value and experience its power because of humility in their lives which will only defeat Satan and his demons, and continue to keep them be victorious over the enemies of their soul for the Glory of God. Because the Jews searched the Scripture without accepting Jesus as their Messiah, they were not able to receive life but instead received death by the letter that was mistaken to hold eternal life without the Spirit quickening it (John 5:39-40). So the bottom line is, stand in faith holding high the Word of God and its inerrancy which means it is without error of judgment to guide humans to the true and living God and it further leads us to stand in the high moral ground of the infallibility of Scripture which is the belief that the Bible is completely trustworthy as a guide to salvation and the life of faith and will not fail to accomplish its purpose. Pray with Me Saints: Dear Heavenly Father, Thank you and praise you for giving us the Word of God in the Bible, through which we have come to accept Jesus Christ as our Lord and Savior, and thus have eternal life of friendship with you through your only begotten Son. It is indeed a privilege to know that the Bible "is without error or fault in all its teaching". Thank you for revealing yourself through your Word which the Spirit uses to build us up spiritually and bring Glory to you. We do not idolize the Word but always want to worship you through the Word from our spirit through the help of your Spirit which you always seek and love. Help us stand on your Word and Promises to believe you more and more, so that we may live a life pleasing to you alone. Thank you in Jesus mighty name!!! Amen and Amen. Praise the Lord!